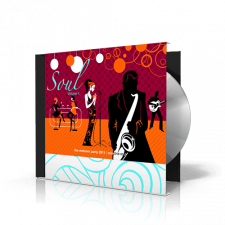 Our complete CD printing product line includes CD sleeve printing, CD insert printing, and CD booklet printing. Order online now & save big. Digital music distribution on services such as iTunes has decreased the number of physical CD’s produced. However, most music artists who play live still need a physical CD to sell at shows, and there are plenty of people who continue to purchase CD’s at retail outlets. With music CD cover printing for artists from PrintFirm, you can be confident that your covers will have consistent quality at a reasonable price. Our complete CD printing product line includes CD sleeve printing, CD insert printing, and CD booklet printing. PrintFirm’s CD sleeves measure 5” X 5” with available printing on the front only, or front and back. They are printed on durable 14-point card stock with a glossy UV coating that repels dirt and moisture. PrintFirm’s CD covers have the following size options: 4.75” X 4.75”, bi-fold design of 4.75 X 9.75, tri-fold design of 4.75” X 14.25”, and a 5.9” X 4.625” CD tray card with perforated spines. They are printed on 100 lb. gloss text. PrintFirm’s CD booklets measure 4.75” X 9.5” and fold to fit the CD case. Page number options are 8, 12, 16, 20, and 24. These page numbers include the cover. Music CD booklets are printed on 100 lb. gloss text. CD booklets give you extra space for artist lyrics, additional text, artwork, and photos. You can upload your own print-ready CD cover design to our website or ask our team of talented graphic artists to design your cover. You can still upload any custom graphics to our graphic artists to incorporate in the design. PrintFirm recommends that any uploaded images have a resolution of at least 300 DPI (dots per inch). Lower resolution images can look fine on your screen, but the typical music CD cover printing result is a blurry mess. Additionally, images found online might be unsuitable because of low resolution. To check the DPI of a graphics file, open it in a reputable graphic design program and note the file details. Because CD covers and related materials must fit perfectly in the CD case and display properly in the folded and unfolded layouts, it is probably a good idea to select electronic proofing from PrintFirm’s drop-down menu when you place an order. With electronic proofing, we send you a PDF file showing the graphics along with the crop and fold lines. This gives you a last chance to check the design before we load it into the machine for music CD cover printing. We recommend that you proofread the CD cover text carefully before uploading it to us. Your fans will probably see a text error as unprofessional. Ideally, multiple people should proofread and at least one of those people should be a skilled editor. An experienced editor can catch mistakes that others miss. If you don’t know anyone with enough skill, it might be wise to hire a professional. Please consider PrintFirm for all your CD cover printing needs. We believe that quality is just as important as giving discounts for quantity.